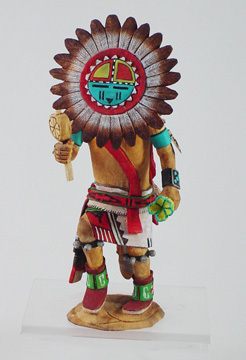 Representative of the spirit of the Sun, the ÒTawaÓ or Sun Kachina is a striking figure. 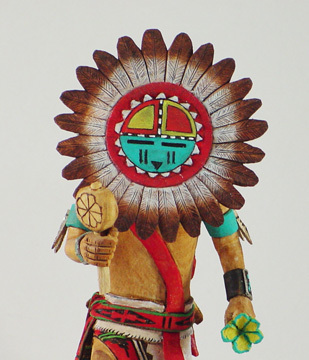 Also referred to also as the Sun Shield Kachina, the Sun Kachina Doll carries a spruce tree in his left hand while holding a bell in his right. 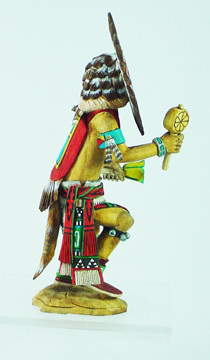 As part of a Mixed Dance, he holds a flute and this has been shared throughout Hopi myths. 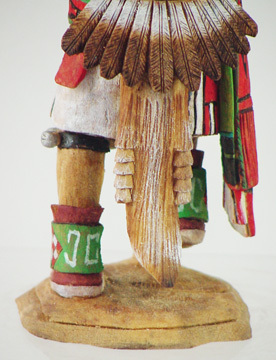 The Kachina dolls truly capture the powerful imagery of these spirits revered by Native Americans. 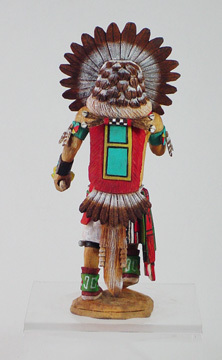 For those who appreciate Native American craftsmanship and Southwestern Native American culture, this Sun Kachina Doll will be the item you want to admire. 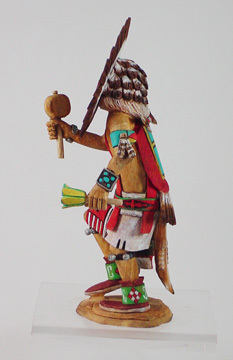 Henry Naha is a well known carver who specializes in detailed carvings. 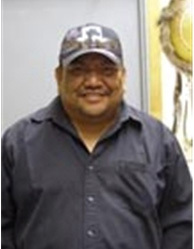 Henry Naha was born in 1964 in Moenkopi (Third Mesa) and began carving in the 1980s. He is a well known carver who specializes in detailed carvings. He is of the Spider and Lizard clans, and signs his dolls with his clan hallmark followed by "H. Naha." 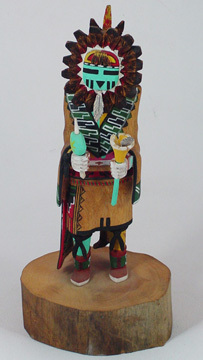 His Navajo last name is Attakai, but he takes the name of Naha as a result of his Hopi adoption and cultural heritage. 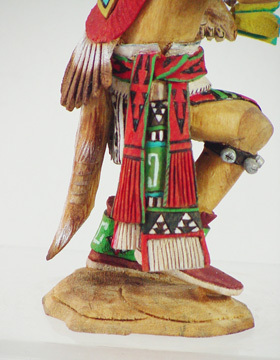 He was taught be one of the masters - Cecil Calnimptewa, who is his Hopi godfather; and was the husband of Avonne Naha Attakai, also a talented carver. He has been an active carver for over 30 years and learned from others such as Denis Tewa and Joseph Dallas. He has established himself as a top-tier Katsina carver with consistent quality carvings. 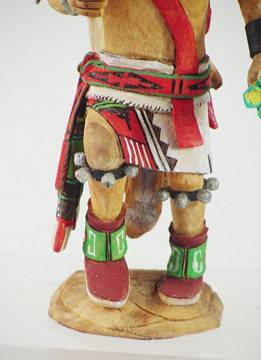 Henry has really established himself as a top-tier kachina carver - an expert. His figures always have an excellent stance and pose...which suggest great strength and pride. The body proportions are right on, and the figure has well-defined musculature. The hands are extremely well carved with detailed fingers and fingernails. Henry's favorite carvings are the Velvet Shirt and the Red Tail Hawk.